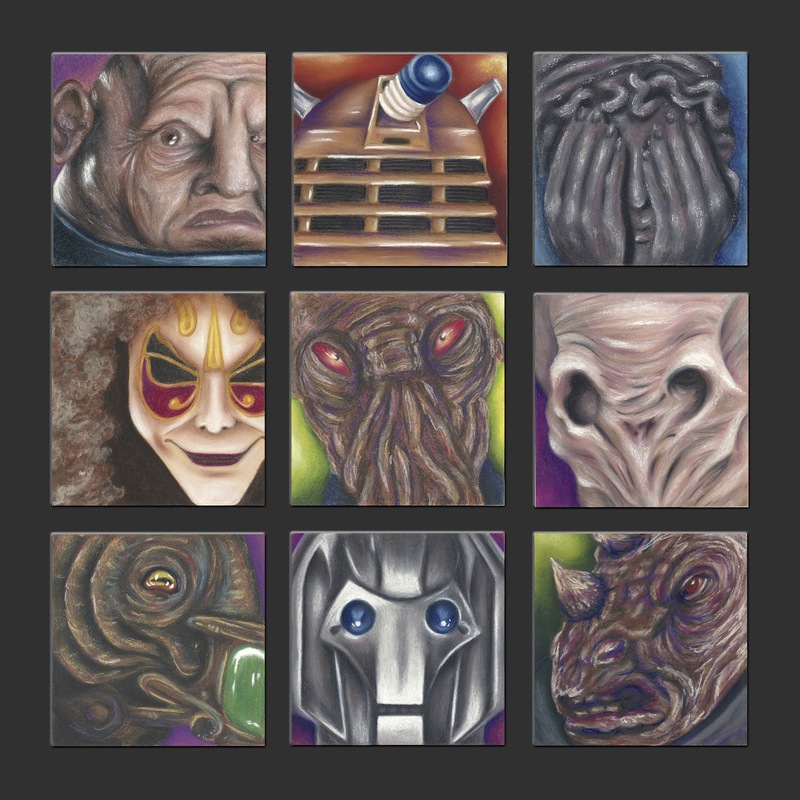 These are they who have faced THE DOCTOR… and lost! Not familiar with Doctor Who? February 4, 2013 in Drawings. SO FREAKING COOL! I love how they are all close up and personal. and I think the color backgrounds make them pop out. Top left is my favorite!